Bethune-Cookman came back from its season-opening loss with a blowout win over VUL. 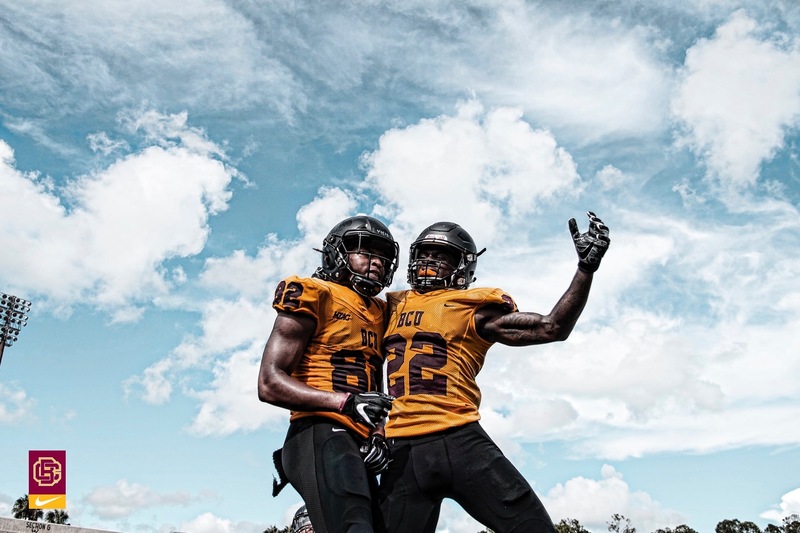 Bethune-Cookman opened its home slate against The Virginia University of Lynchburg this weekend in Daytona. And boy did it open up! The Wildcats scored 11 touchdowns and added one safety in a 79 to 16 blowout. Quarterback Akeyious Williams had a solid day, throwing for 297 yards and two touchdowns. Backup David Israel had 150 yards in the air and two touchdowns. Kyle Smith, Williams, and Israel all rushed for touchdowns as well. Malique Jackson, Queshaun Byrd, Jimmie Robinson, Keavon Mitchell, and Jonathon Thomas all had over 50 yards receiving. Malique Jackson had 162 yards and two touchdowns. He had a 77-yard reception as well. Tydarius Peters had a 38-yard pick six on the defensive side of BCU’s scoring. With the win, BCU scored the most points in program history and had the largest margin of victory since a 74-0 win over Claflin University in 1962. BCU will head to Boca Raton this weekend to face the Florida Atlantic Owls. If the Wildcats play well, they could get some national attention. FAU head coach Lane Kiffin has a strong following within the college football community.